This post is sponsored by Primo® Water. All thoughts and opinions are my own. With all our talk about real food, we often get asked what kind of water we drink as well. And rightfully so – have you ever checked what contaminants are in your city water that comes out of your tap? I recently looked at the EWG’s review of the water here in Charlotte, NC and I have to say, it was disturbing. Water is our drink of choice around here and, as with our food, quality matters. I’m excited to share what to look for and what you can do about your substandard water in today’s sponsored post, plus don’t miss the GIVEAWAY at the bottom! So, let’s dive in – pun intended LOL. I doubt you need much convincing about how important water is for our bodies. But did you know that staying hydrated can impact everything from our brains to our hearts to our skin, joints and spinal cords? It’s no wonder you feel terrible when you get dehydrated! It impacts your energy level, mood and cognitive ability. A dehydrated brain works harder to accomplish the same amount as a hydrated brain, after all! No sense in doing that to yourself (or your child). It’s no secret that over half of our bodies and organs are comprised of water and, since we lose 2 to 3 liters of water each day from sweat, urine and waste (eek! ), daily intake is obviously paramount. The bottom line is that getting the right amount of water can affect how we feel, think and function. But, let’s make sure we’re not hydrating with just any water that could be full of toxins and other unwanted contaminants. Quality matters, which is why we’re excited to be talking about Primo® Water today. 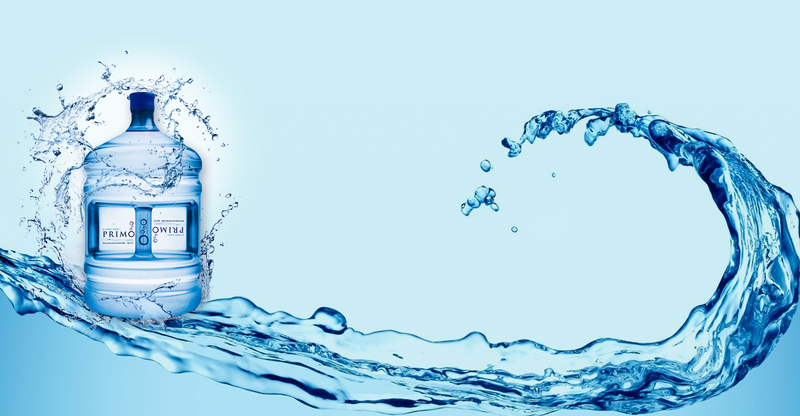 The mission of Primo® Water is twofold: first is to drink more water, and secondly, to drink quality water. As I mentioned, being better-hydrated means feeling better overall, including having better moods, thinking, digestion and performance. And when it’s accessible to your whole family, it can easily become the norm. Primo® offers dispensers that make it super easy to have cool or hot water for all of your needs. You’ve probably seen them in office settings (I just saw one at my chiropractor the other day), but did you know that you can have one for your home as well? I can only imagine how much fun my kids would think it is to be able to get fresh, pure hot or cold water with a push of a button! So, not only is Primo® Water convenient and affordable, but more importantly, high quality so you can feel good about the water your family is drinking. It goes through a 9-step purification process for pre-filled exchange water and a 4-step purification process for self-service refill water, which tastes great, and is also much less wasteful than single-serve bottles (which are often partially consumed and hard for kids to twist off). Primo® Water offers dispensers that can work for all spaces and budgets. From countertop dispensers to super sleek bottom load dispensers, there are plenty of options to choose from. When you are ready for more water, you can choose from two options: refill or exchange. Self-Service Water Refill stations can be found at Wal-Mart, Lowe’s and Kroger. The exchange process is just as easy and even more economical. 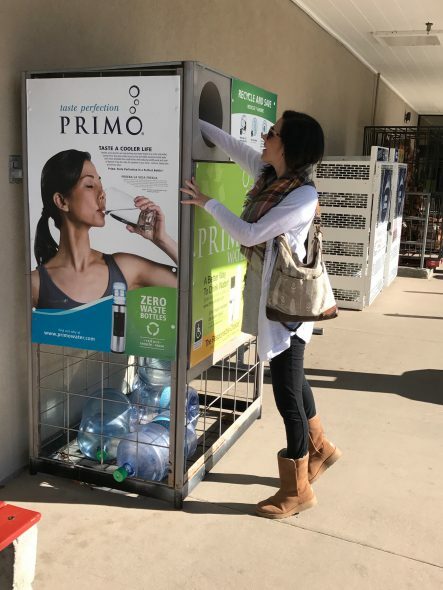 First, purchase a Primo® Pre-Filled Exchange Water at a store near you. After drinking it, recycle your empty bottle at the store and grab a ticket to save on your next bottle. And yes, since it’s that time of year … here’s a resolution that’s worth keeping: Simply switch to clean, great-tasting Primo water. It’s filtered to remove pollutants that even the popular-brand filters can miss. 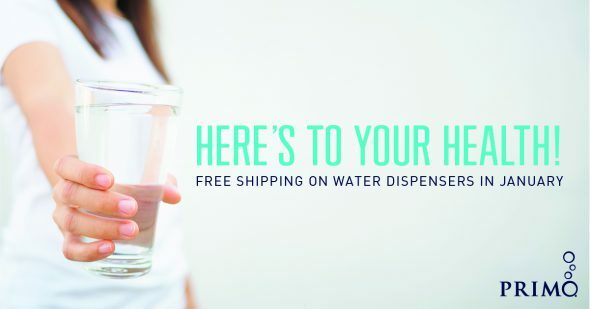 Plus, your purchase of ANY Primo® Water dispenser during January includes free shipping AND special “starter” coupons for 5-gallon bottles of Primo® Water. Enjoy! I drink a lot of water but find being encouraged to purchase water a bit of an issue. I have my water in Massachusetts checked by a third party and it comes back clean. This is best. Sometimes I found an unhygienic thing in water but this one will be perfect. The classification of Primo Exchange Water step is amazing. Thanks a lot for this information. Truly, it is imperative for us to stay hydrated whilst ensuring that we are supplying our body with quality water. This seems perfect. Moreover, the 9-step purification process sounds really interesting. This is worth a try.